And while that statement does, at least, mention your target audience, the approach is all wrong. Starting a brainstorming session with what you want to sell sets you up to think in terms of your everyday life, your surroundings, and your pressures — and then how your (albeit amazing) solution can sweep in and fix your customers’ problems. 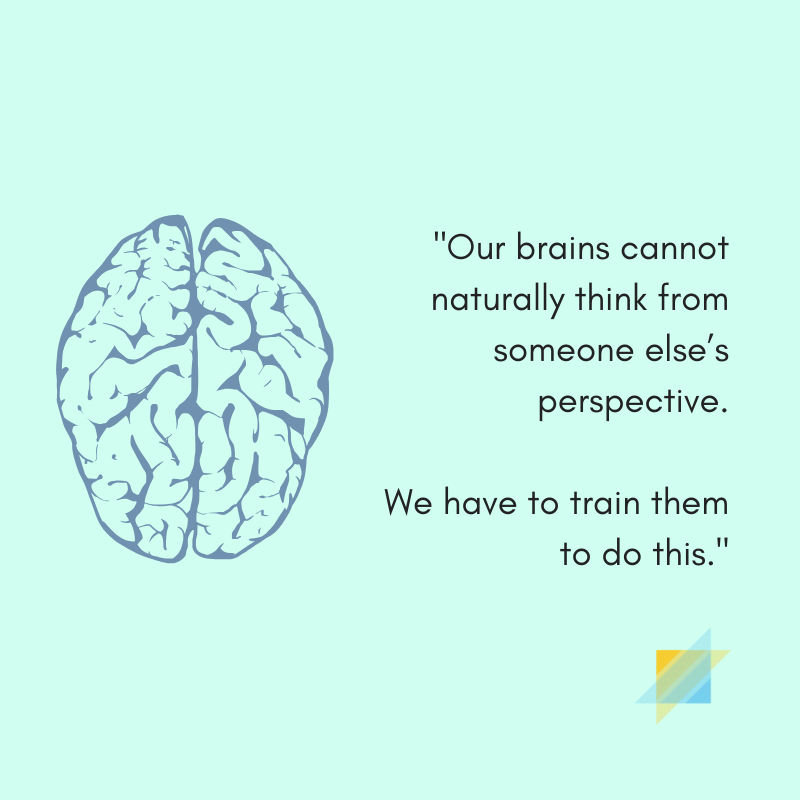 But our brains cannot naturally think from someone else’s perspective. We have to train them to do this. Even when we’re doing something generous like caring for a baby or volunteering, we are still seeing with our eyes, feeling with our skin, and reasoning with our own minds. If my customer had one full week on the job that they could devote solely to their professional growth, how would they use it? This question is one you can probably answer easily for yourself, which is why it’s a helpful empathy-building practice when thinking from your customer’s perspective. And I guarantee you that each of your B2B customers — those who want to keep their jobs, or keep their businesses running, anyways — have ideas for what new skills they might learn, books they would read, or conferences they would attend if they only had the time during working hours. Find out the skills they would learn. Teach them these skills through a series of webinars, blog posts, or short YouTube videos. Find out which books they would read. Read them, and write thoughtful reviews or responses on your blog that incorporate examples from your customer’s industry. Interview the authors of these books on your podcast. Find out which conferences or trade shows they would attend. What would they get out of these experiences? Who would they meet, and how would these events help boost them up in their career, or grow their business? Explore these things, and you may be completely surprised to find that your original content marketing plan isn’t customer-focused at all. You may be selling to a social media manager and assuming they’re most interested in learning about different social networks — when in reality, they desperately want to gain expertise in graphic design so they can get promoted to creative director, but they’re too busy planning and creating social posts. As a B2B marketer or content creator, you have all the time in the world for your customers. Serving them is your main responsibility. Give your customers the gift of your own time by using it to research and discover the things they can’t — and then give them that information freely. It may not result in a sale right away, but you will have secured something priceless in a noisy atmosphere: a real connection.